I like what Ray Kurzweil recently said because it reframes the “hell in a hand basket” narrative presented in the main stream media. 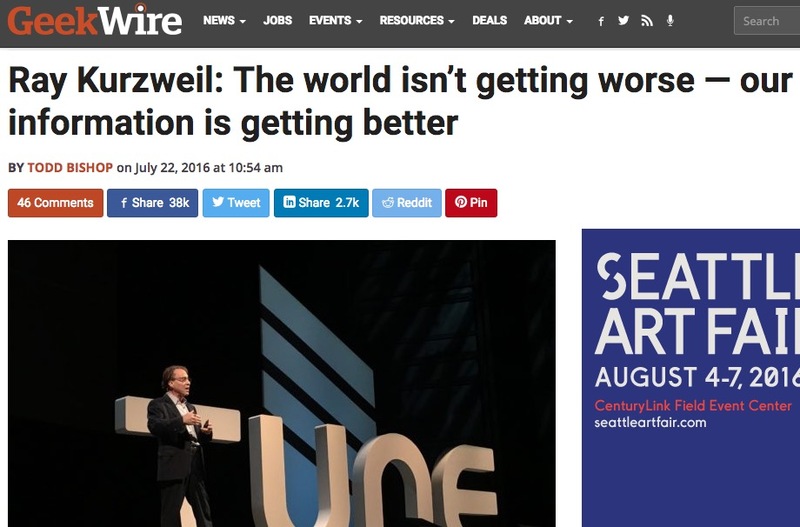 Kurzweil asserts, and I’m sure someone like Steve Levitt, who co-wrote Freakonomics could attest, things are objectively getting better all the time. Especially the flow of information. What one half of our mind perceives as chaos can also be viewed by a more sophisticated mind as complexity. We are aware of dissident views, conspiracy theories, alterative views that make their way to our Facebook feeds and innocent search engine queries. Unlike in simpler time, we can choose to become aware of stagecraft and outright manipulation in our world. With the access to information, disinformation, and misinformation, we have instant, global, and redactable information at our fingertips. We have access to the blemishes in everyone’s past. Gone are the days when a person could simply hide behind eminence and credibility. Someone asked me the other day why there was so much fear and chaos is being created and reported in the world. I said it was because so many people were actually waking up en masse. Human consciousness is becoming wiser and harder to deceive. Therefore, there is a need to create more fear to control consciousness so that people will relinquish ideas of self-determination and world peace. What do I mean by waking up? I was speaking with a patient of mine, a destroyer captain during the Cuban Missile Crisis who commanded his vessel the blockade. I asked him whether he believed the Gulf of Tonkin incident, the pretext for escalation of the Vietnam War, ever happened. He demured. In fact, Secretary Bob McNamara admitted the incident was false. What is the point of that little example? I was looking at the honorable discharge plaques for Harold Rosen and Deb Castleman and the latter pointed out the different phrasing. In the older one, “obedience” appeared and the the newer one “faithful service” was the phrase, I believe. We are reaching a time when it is truly getting harder to fool all the people all the time and more and more people are merely pretending to be asleep. I don’t envy the people who spend their time trying to control the world. It is a complex time of geopolitics, macroeconomic shifts, credit instability, and populism. Imagine no religion as per John Lennon’s song? Imagine no possessions? Imagine all the people, living for today? For some, that might seem like a utopia. But if you honestly feel you have the right, duty, and pleasure of ruling the masses, such a world requires calculated and often brutal action to tend the herd. 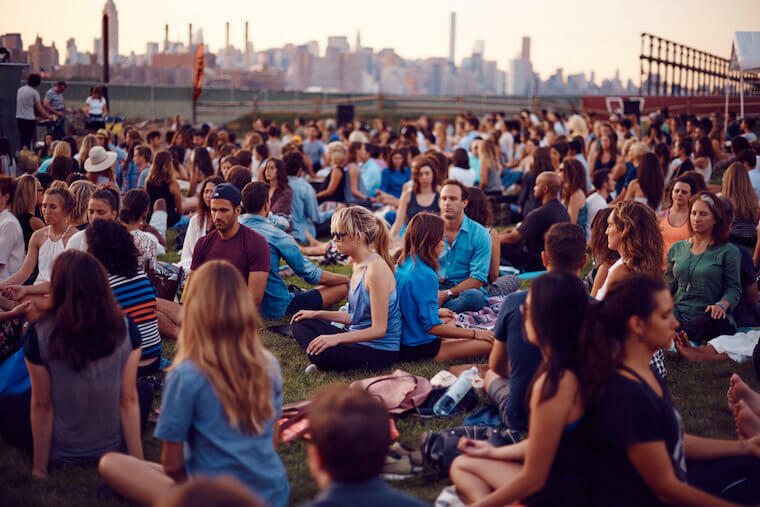 When the herd chooses to clear its mind, who knows what new paradigms might emerge? Hi Ed, good piece — and I agree, world is getting better!